Two men have been arrested on suspicion of attempted murder in connection with a shooting outside a nightclub. 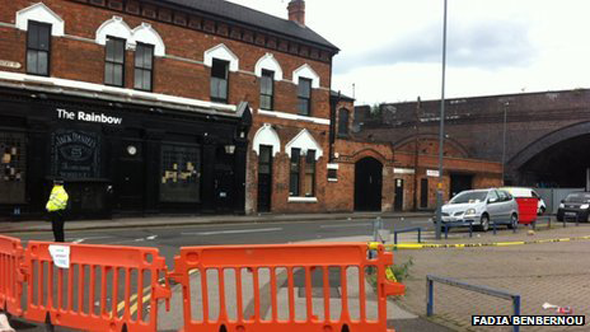 A 35-year-old man remains in a critical condition after being shot in the stomach outside the Rainbow Warehouse in High Street, Digbeth, Birmingham, on Saturday night. Initial enquiries indicated it was a targeted attack, police said. The men, aged 34 and 29, were bailed with strict conditions while enquiries continue, the West Midlands force said. It added the motive for the attack at about 23:45 BST on Saturday was still unclear. Adderley Street remained closed on Monday morning while searches were carried out by specialist officers. The venue had been hosting a two-day event called Circoloco, described on its website as "featuring house and techno sets". The second day of Circoloco was cancelled.